I just found out about your blog the other day and am enjoying the read through. 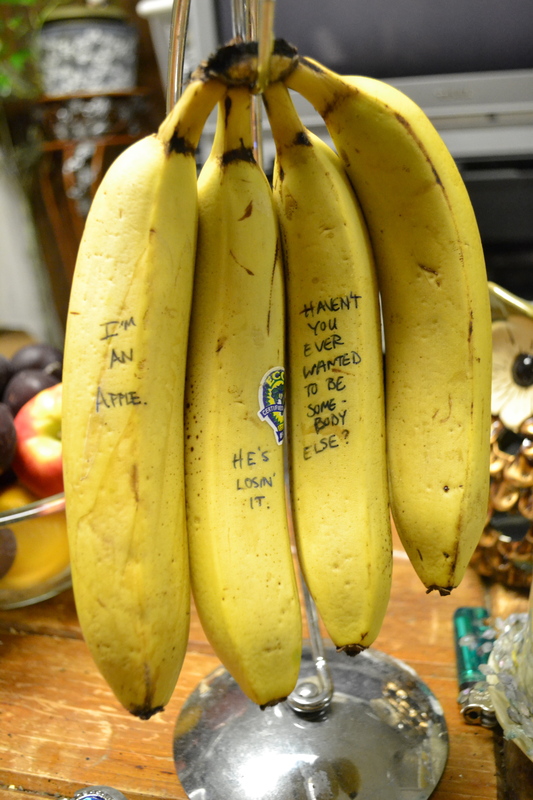 My guess is that the banana on the left was on JMC Red Dwarf at one time? Oh, you delightful readers are going to give me a big(ger) head! One pair of virtual fishnets tossed your way, Soli!